As regular readers will recognise, I am based at Imperial College London and today, I want to describe some of the work that goes on here. I am the Professor of Energy Engineering, in the Department of Chemical Engineering, and much of my research is now built around carbon capture and storage (CCS). I’d like to tell you a little more about the work on carbon capture here at Imperial, with particular focus on our carbon capture pilot plant. The carbon capture pilot plant is so big that it stretches over four floors of our building, right at its centre – which is pretty impressive for a university pilot plant and helps provide a sense of scale for the real thing. The pilot plant provides our students with an opportunity to grapple with some of the practical challenges that they will encounter in industry. It certainly presents the opportunity to hone a few of the skills that might prove useful in the future. 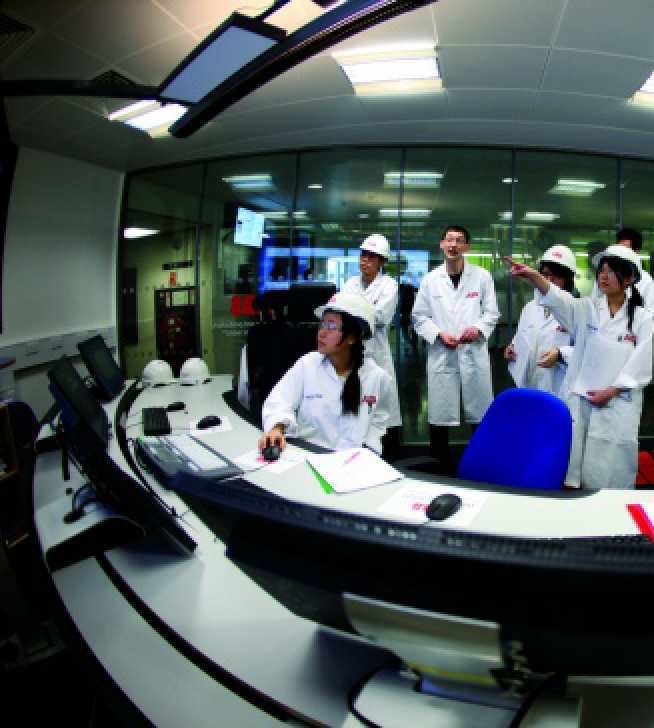 For example, each one of the roughly 1000 2nd year undergraduate students that have worked on the plant since it’s opening has practiced line-walking skills using an older revision of the plant piping and instrumentation diagram and then done the equivalent to red-lining the drawing before they were able to write operational procedures. Throughout this exercise they have also been operating under a simple permit to work scheme. During operation, the plant group has been split into two ‘shifts’ to practice handover – since this is the first time that most of our students have done this, as you may imagine some of the change overs are ‘interesting’. We can also introduce simulated plant problems, such as blocked impulse lines on differential pressure measurements that our students have to diagnose. By performing short de-brief sessions after their time on the plant it does give us the opportunity to highlight the importance of some of these softer skills and put into context where adoption of good practice in these areas can enhance plant operation and safety. 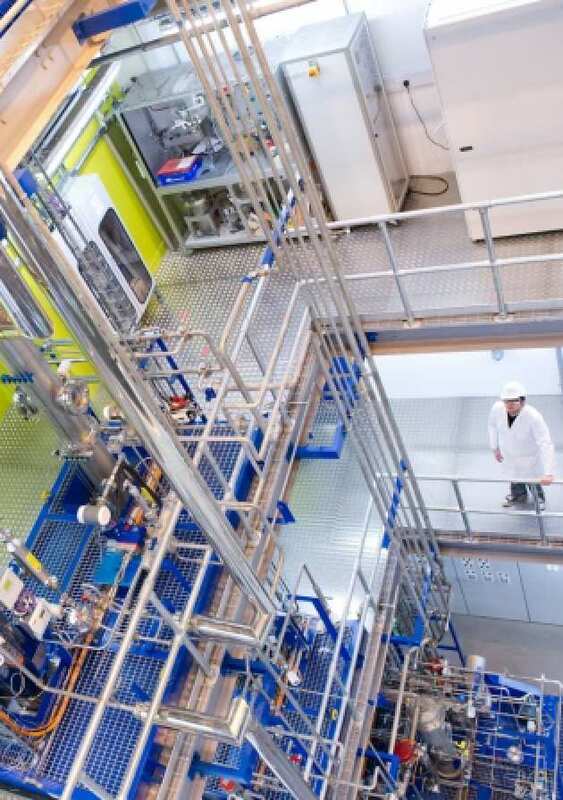 The Carbon Capture Pilot Plant isn’t just a ‘mock-up’; it was built to the highest industrial standards, with funding from the Imperial College and the Department of Chemical Engineering and as part of a ten-year strategic alliance with ABB. It has around 250 measurements, highlighting as many of the types of measurement and process equipment as possible. For control signals areas of the plant have most of the common signal protocols (4-20mA with HART, Profibus PA and DP and Foundation Fieldbus and wireless) with state of the art sensors and control protocols. In the control room our undergraduates get the chance to learn key skills including; facility start-up and shut-down, as well experience in efficiency and process safety, under the watchful eyes of my colleagues Dr Colin Hale and Dr Daryl Williams. MSc programmes in Instrumentation and Control and CPD training for graduate engineers have also kept the plant busy. Recently, it has even been used as part of a collaboration with the Imperial College Executive Education program for training executives from non-engineering disciplines in emergency management. It is often surprising to learn that so many of the skills that chemical engineers often take for granted, such as team working and co-ordination, information management and standard operating procedure development are sometimes such a revelation to other disciplines! However, our carbon capture pilot plant is not just about education, it is also a valuable research too. The plant is helping us to test ideas that could improve CCS efficiency, for example the optimisation of the performance of carbon capture plants. Maybe the ‘S’ in CCS should stand for ‘students’ – at Imperial it certainly does! If you are working to develop the skills of young chemical engineers, why not get in touch and tell us about your approach. I great to see students being involved with industrial scale equipment and operating it. I am sure that this must be of great value to the students. However, in my opinion you are still missing the “U”. This could be “university” but I was thinking of “use”. CCSU will only truly valuable when the overall efficiency is as high as current energy generating processes.